PLAINFIELD, Ind. 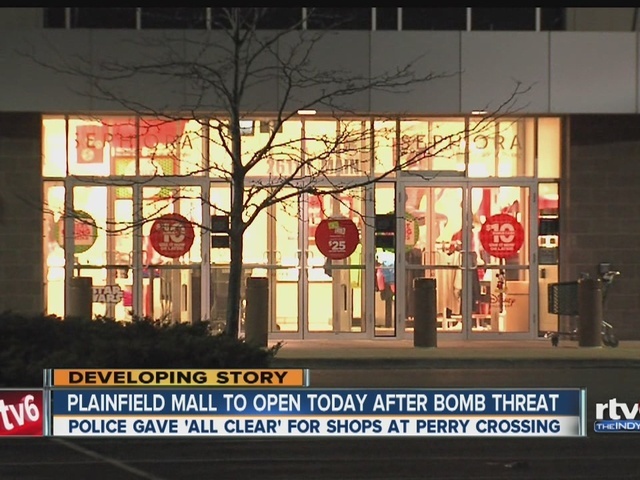 -- A Plainfield mall opened for normal business hours on Saturday morning, after police evacuated the mall to investigate a bomb threat. It was apparently made by the same person who threatened Plainfield schools the day before. 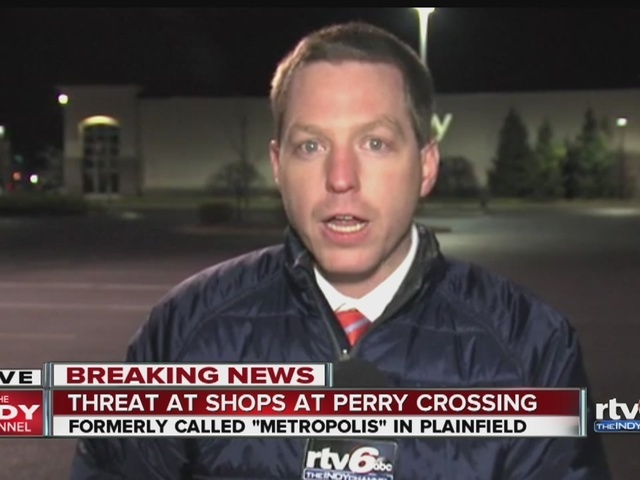 The threat was made against The Shops at Perry Crossing on Facebook around 9 p.m. Friday. Police declared the mall cleared around 1 a.m. Saturday. They say there was no immediate or imminent threat to shoppers at the time of the call. Shoppers can expect an increased police presence at the shopping center. Anyone who notices anything suspicious is asked to call police. Among other threatening statements, the poster wrote: "My advice? Avoid Perry crossing this weekend." The poster also claimed to have access to explosives and firearms. JC Penny employee Mohammad Matar told RTV6 he was working at the mall when he was alerted to the threats. "We ran over the intercom and said we had to evacuate the store ... people were really confused," Matar said. "But then managers went on again and said please leave immediately, there's been a bomb threat." "On December 18th at approximately 9 P.M., the suspect/suspects from the threats at the Plainfield High School posted threats against the Shoppes at Perry Crossing on Facebook. The mall staff was contacted and made the decision to evacuate due to the threats. The Plainfield Police Department along with other agencies are taking every precaution possible to ensure the safety of the citizens while maintaining normal patrol operations throughout the Town of Plainfield. We plan to make every effort to have the mall reopen as soon as possible." Separate threats were made Thursday against students at Danville High School, leading to two arrests . Franklin Community Schools were also the targets of threats this week. As of Friday night, the identity of the person behind the threats was unknown.